Today is Blog Action Day and thousands of bloggers around the world are talking about this year’s theme, inequality. Something I am passionate about reducing – for the good of us all. 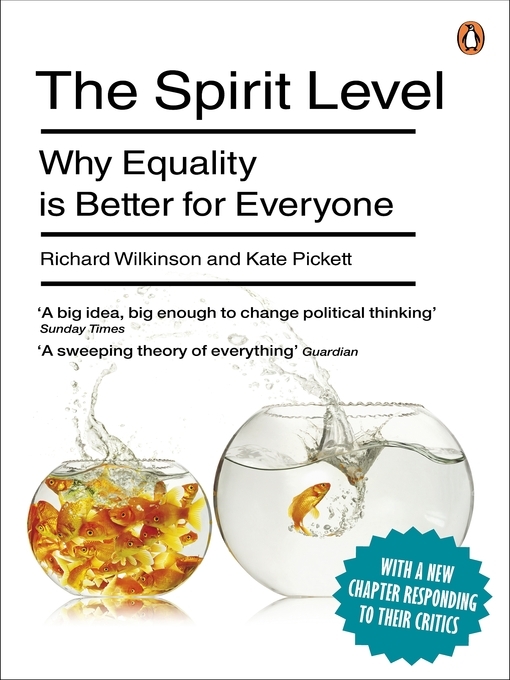 I found The Spirit Level (by Richard Wilkinson and Kate Pickett) very thought provoking, as it explores the impact of high levels of inequality on society. The sub-titles for the book are: Why Greater Equality Makes Societies Stronger (US) and Why Equality is Better for Everyone (UK) – are these not things that we all want for the world we live in? I’m very excited it is being turned into a documentary, hopefully resulting in greater awareness and influence on policies / structures that move us towards a more equal society. Our capitalist economy perpetuates societal inequality. We love the rags to riches stories of individuals who have surpassed all odds to succeed from a less than optimistic starting point. But the reason we know about them is that they are unusual – it is very unlikely that this will be most people’s story, as your starting place in life is likely to be where you remain. We live in a consumer culture, but the very structures of the businesses we rely on for our purchases, perpetuate inequalities. The negative side effects are obvious when profit is the sole driver for a business – low wages, finding the lowest cost inputs while ignoring the unsafe conditions in which they are made, harming the environment, the list is endless. For-profit organisations are focussed on privatising the wealth they generate, rather than socialising the profits – as a result, the rich (owners) get richer, and poor (workers) get poorer. We recently attended a book promotion entitled “How on Earth – flourishing in a not-for-profit world by 2050” (the book is written by Donnie Maclurcan and Jennifer Hinton), looking at how not-for-profit enterprise will be at the heart of the global economy by 2050 as the world shifts towards an “economics of enough”. The concept that underpins social enterprise is the focus on a triple bottom line – people, planet and not-for-private-profit. Wikispeed – a volunteer based green automotive-prototyping company, with a goal to change the world for the better. WordPress – a free and open source blogging tool (this blog is thanks to WordPress!). Firefox – a free and open-source web browser. Bosch – 92% owned by a charitable foundation, enabling them to invest double the industry average into research and development. For a charity, being supported by a social enterprise helps them to ride out the troughs of the capitalist boom and bust cycle, when charitable giving from individuals and governments dries up. Their emphasis is not on “growth at any cost” – essential in a world of finite resources as it takes account of the inputs impact on the planet, and does not rely on over consumption for its success. Therefore built-in obsolescence does not feature in their design of new products. 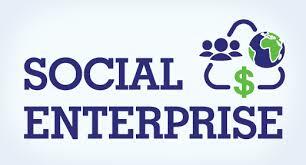 Not-for-profits are already seen to have competitive advantage. They encourage innovation, for example through the use of open source technology (see examples above). Not-for-profit organisations have been proven to make more ethical decisions, especially in relation to their workers and regarding environmental considerations. Any returns, over and above those needed to cover the running costs, can be re-invested in developing other facets of the business, or supporting other like-minded or local organisations – they are not “extractive industries” like high street banks and supermarkets which take money out of the local economy and divert it to head office and to shareholders. The rise of not-for-profits is a rise in localisation. They can therefore react to the needs of a local community more effectively as they are more locally focussed. Not-for-profits cross the party divide – they have the benefit of appealing to the right because there is less regulation (as such a world requires fewer taxes on the bad effects of capitalism), and to the left as there is more service provision and reduced wealth inequality. Salary differentials are often lower in not-for-profits, another factor that reduces the gap between rich and poor. I was excited to hear about the potential for not-for-profits to change the world as we know it, for the better. The research undertaken for the book shows that the number of not-for-profits has risen in the recent period of de-regulation. There is little public / media recognition of this growth, but the authors feel passionately that this is the positive way in which we are progressing. Already a lot of current trade in the informal economy is on a not-for-profit basis i.e. parents caring for children, church members running community projects – but this is not measured by GDP and therefore is largely ignored – one of many reasons why GDP is such a restrictive and unhelpful measure of anything. So, one of the many ways in which we can work towards reducing inequality, is by supporting organisations set up on a not-for-profit basis, who focus on a triple bottom line. You should be able to find many of these around this site. As I say on my home page, make your money a vote for the kind of world you want i.e. a not-for-private-profit world, so reducing inequality. Thanks for reporting on our work Lydia!